I’m happy to finally cross Spain off of the travel bucket list! My boyfriend planned us a vacation in Valencia, Spain for the last week in June. I definitely left my comfort zone by leaving my French habits at Charles de Gaulle—I don’t know any Spanish—but we had an amazing time exploring the city and the beach together. Paella is the plate of Valencia. You’ve probably seen paella in other parts of Spain, but Valencia is where the dish was conceived. Read this article to learn more facts about paella and what to look for in a real paella. Sangria. I feel like I shouldn’t have to explain this. Agua de Valencia is basically a boozier, Spanish mimosa. I tried it at night, but it would be an ideal drink to have by the beach or during a hot summer day in Valencia. Horchata is a Spanish cold beverage made of water, sugar and tiger nuts. If you’ve traveled to Latin America and seen horchata, there is a difference between Spanish and Latin American varieties. Try an authentic horchata at Horchateria de Santa Catalina in Plaza de la Reina. I’ll be honest, I didn’t really end up liking horchata at all. It looks like milk, but kind of tastes like orange juice, but not really… I saw signs for places that had chocolate horchata, which may not be traditional, but it could taste better. Playa de Malvarrosa is one of Valencia’s beaches that has an expansive view of the water and the port. I was pleasantly surprised to see the length of the beach and the clarity of the water. We did rent an umbrella and chairs every time we took a beach day for 13 euros, but it’s possible to skip that expense if you only bring a beach towel and prefer to soak up the sun. If you walk along the promenade towards the port, you will approach Paseo Neptuno, the main restaurant strip by the beach. There are plenty of restaurants to choose from and perfect for people who enjoy a bar scene at night. If you walk all the way onto the pier along the boats, you’ll see a great view of the entire beach and the promenade. Located near Valencia’s City of Arts and Sciences Museum, Oceanografic is the largest aquarium in Europe. This was the only museum we made the time to see, but it was well worth it. Plaza de la Reina is the busiest square in the Valencia’s historic city center. You’ll see a lot of restaurants made for tourists, but if you do your research or really walk through the back streets, you’ll find authentic Valencian restaurants. 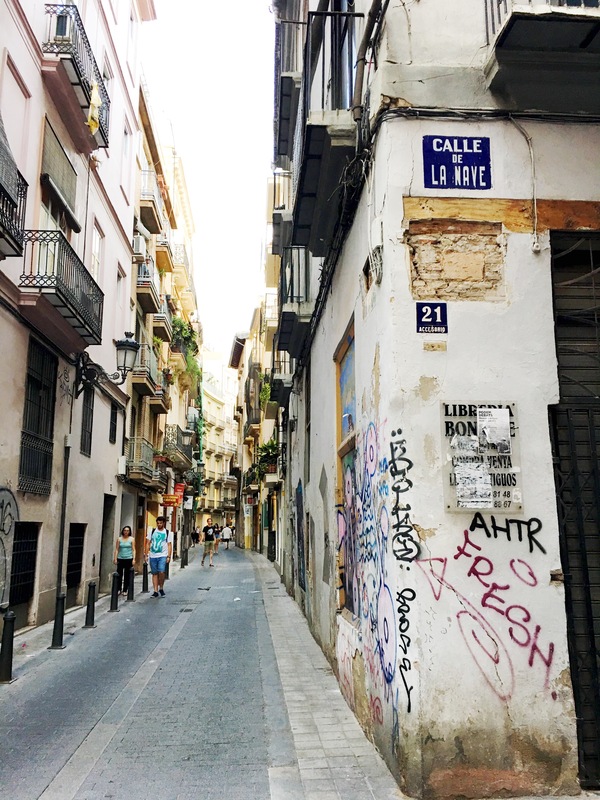 Carrer Colon and the streets running parallel make up the best shopping area in the city center. 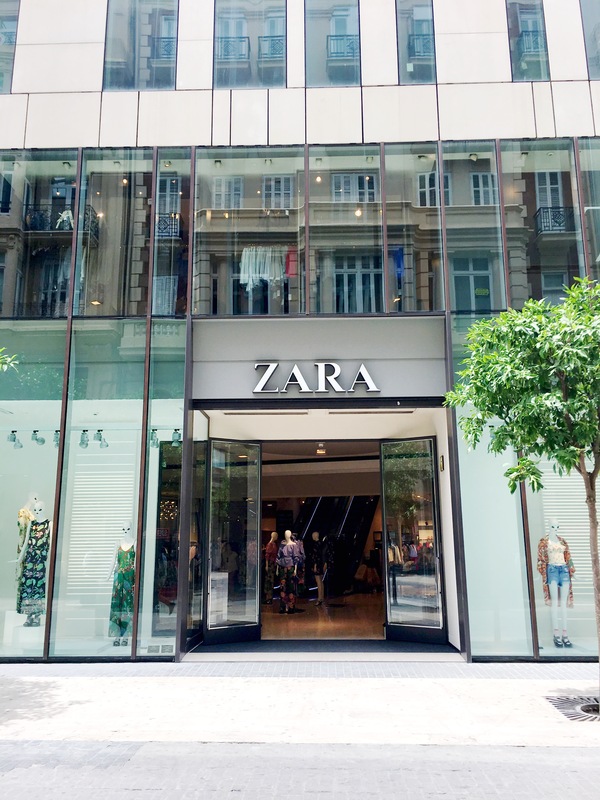 Stock up at Spanish stores like Zara, MANGO and Stradivarius, the prices are slightly less expensive in Spain! 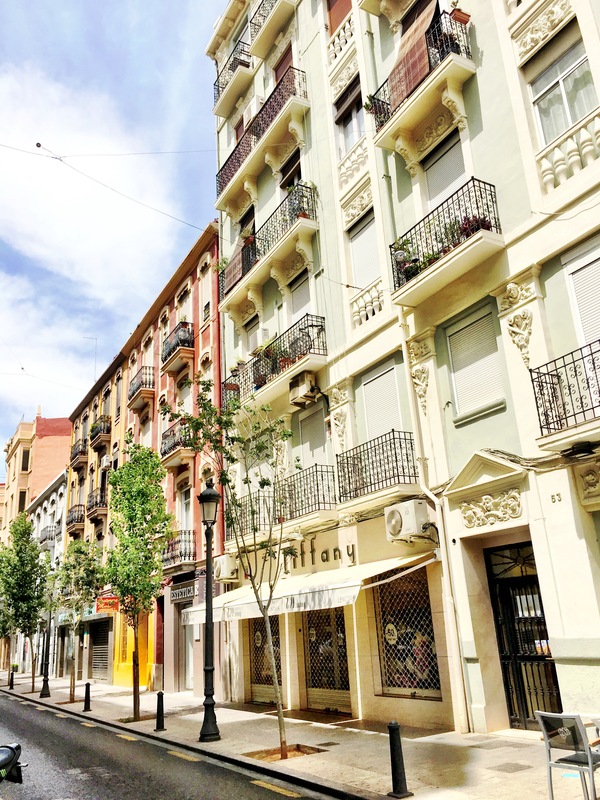 Several blogs I read encouraged visitors to explore the Ruzafa neighborhood, an up-and-coming trendy neighborhood to experience local, Valencian culture. It’s only a short walk from Carrer Colon, maybe less than 15 minutes. My boyfriend found an airbnb less than a 10 minute walk from Playa de la Malvarrosa, so naturally we spent a lot of our time by the beach. 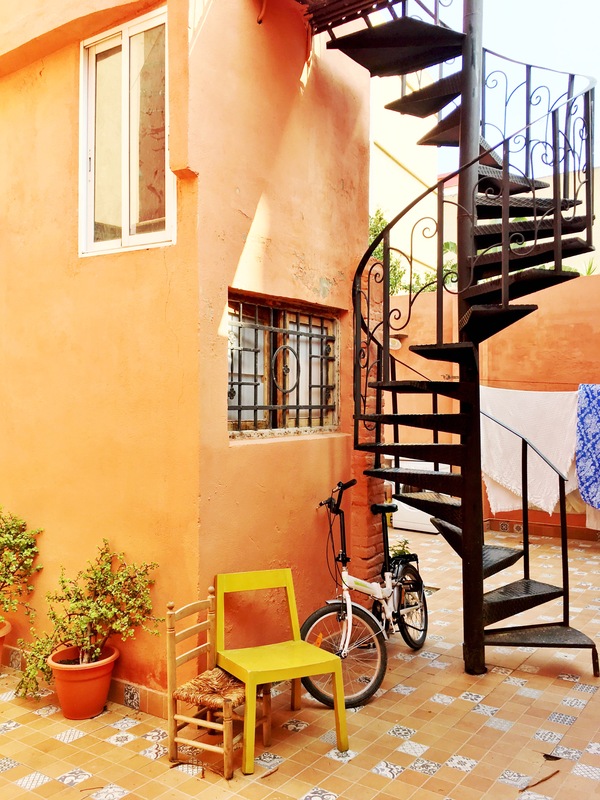 We loved getting drinks and dinner by Paseo Neptuno, but staying at an airbnb gave us the option to cook some of our own meals in the apartment instead of eating at restaurants for every meal. If you’re curious about what an upscale stay in Valencia looks like, check out This is Glamorous’s stay at The Westin Valencia. Your photos are beautiful! I haven’t been there in so long – you’re making me jealous. The food looks delicious! I love your shots, you have good eye! Valencia looks beautiful, haven’t been yet, so thanks for the suggestions! Wow ! Your photos look fantastic. Roughly how much did you spend? I visited Kota Kinabalu with my husband recently and we enjoyed our vacation with a small budget. I have always wanted to go to Valencia, now seeing your photos, I’m going! Your photos are beautiful and loved the food and drinks snaps! Gorgeous photos, Serious wanderlust now. Thanks for such a beautiful post, you’re an amazing photographer and you’ve made me want to book a holiday! Thank you! 🙂 I always thought of myself as a writer first, but traveling has definitely made me love photography too! Oh my gosh. Valencia has been on my friends bucket list for longer than I can remember. Now I see why!!!! PS: where the heck did you get those shoes! they are amazing! I spent a couple days in Valencia and loved it but I wish it had been a week as well. Isn’t that always the case. Great pics. I’m going to Spain in a couple of months and this got me so excited!!! Your pictures are beautiful and the food looks amazing! I mean this is just awesome! On my list for sure! Really cool post. I have been to Canary Islands but never to Spain it self. Really have to go.